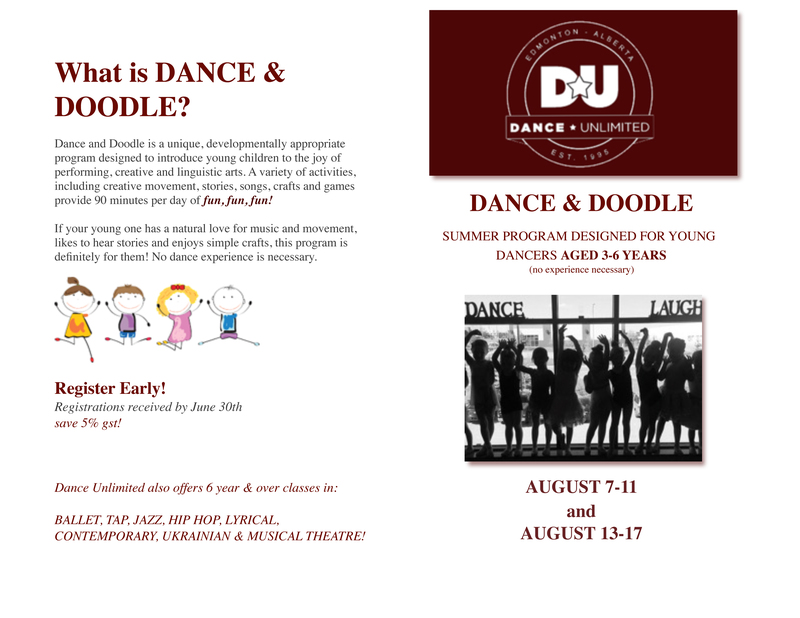 Dance & Doodle program for dancers aged 3-6 years. 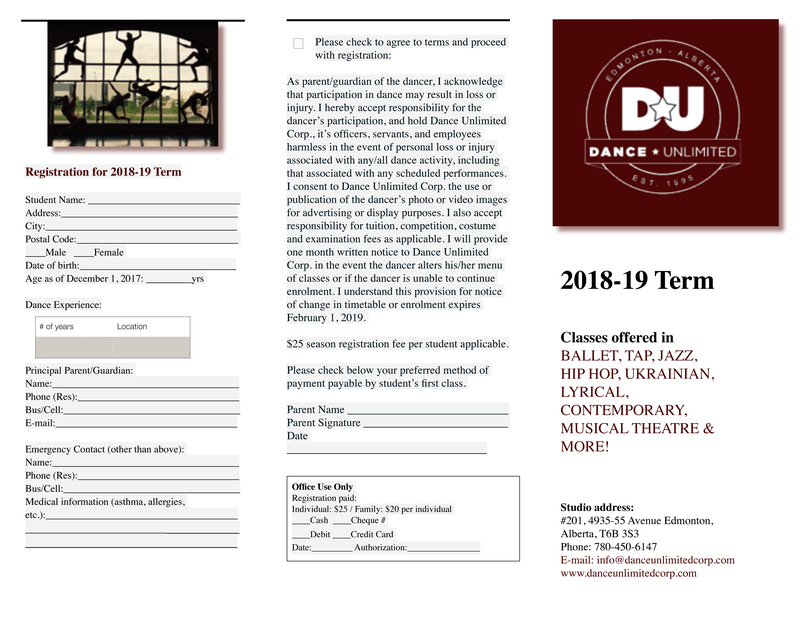 2018 Dance & Doodle on-line registration is open now. Our 2018 Dance & Doodle brochure is now available for download. Multi-disciplinary programs for dancers aged 6 years & over. 2018 Summer Program on-line registration is open now. Our 2018 Summer Program brochure is now available for download. Summer dance program for young dance enthusiasts aged 6-7 years. with minimum 1 year of previous experience. 2018 Level 1/Tempo Tots on-line registration is open now. 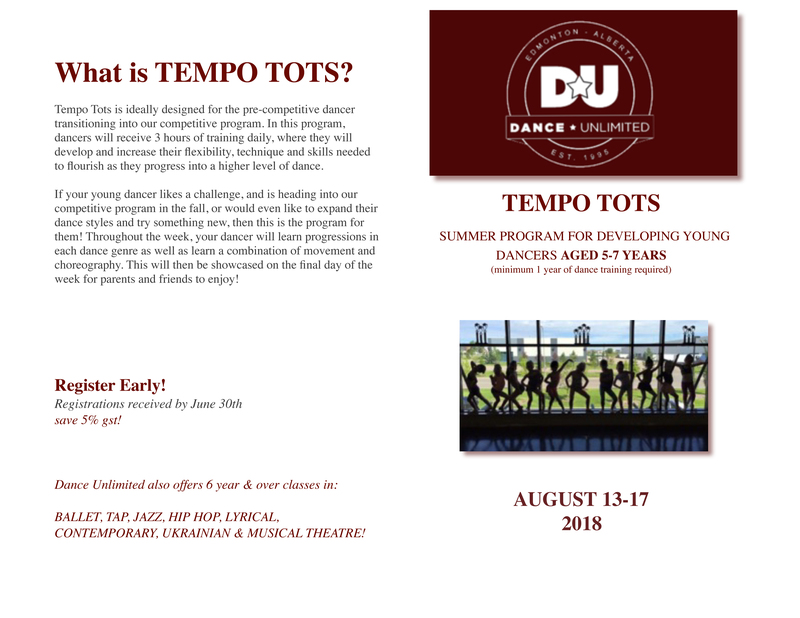 Our 2018 Level 1/Tempo Tots brochure is now available for download. Fall & Winter programs for dancers aged 3 years to adult. 2018-19 Fall/Winter on-line registration is open now. Our 2018-19 Fall/Winter brochure will be available for download soon. 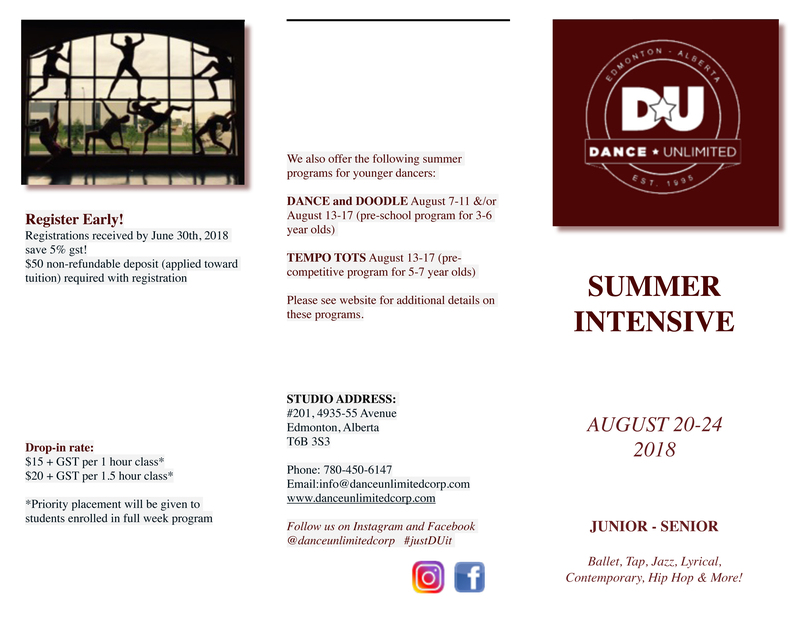 Registration is open for Summer programs and our Fall 2018/19 season. All registrations will go through our brand new parent portal. Please click here to register for all upcoming programs. The following is a sample of our 2018-19 season tuition rates. Please contact the DU office for rates beyond 1 hour of weekly dance. Gst is included. 2018-19 season registration is $25 per individual or $20 per individual for families. Our season is 9.5 months duration (September to mid-June.) June tuition is pro-rated to .5 of a month. Please contact us for applicable fees beyond 1 hr per week, including multiple class & family rates. We accept cash, cheque, debit, MasterCard and Visa.